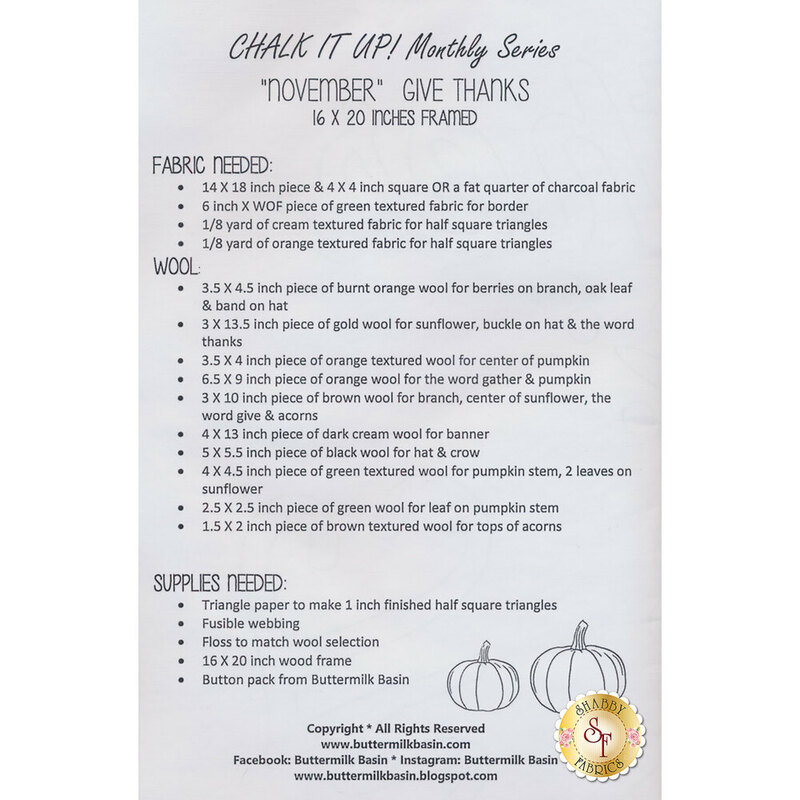 Each month, create a new beautiful piece with the Chalk It Up! Series that measures 16" x 20" framed. 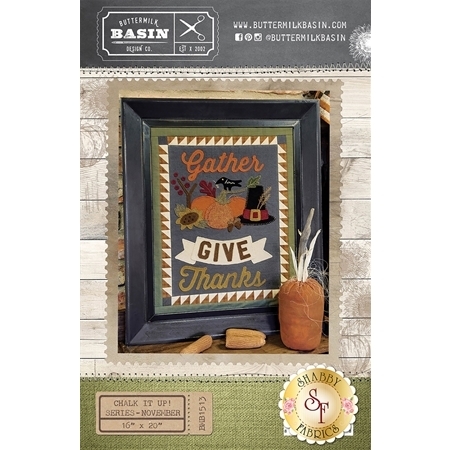 The month of November features the words "Gather, Give, Thanks" and has a darling scarecrow and pumpkins.